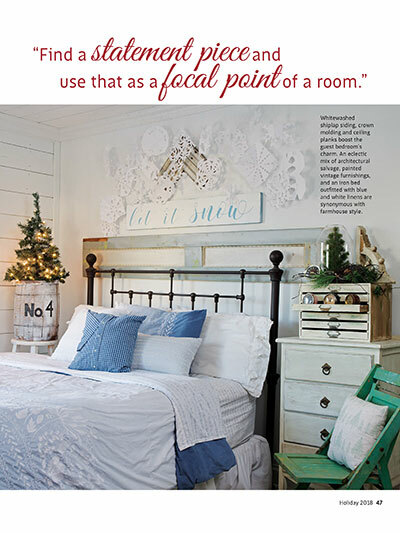 Celebrate a country Christmas with farmhouse charm. 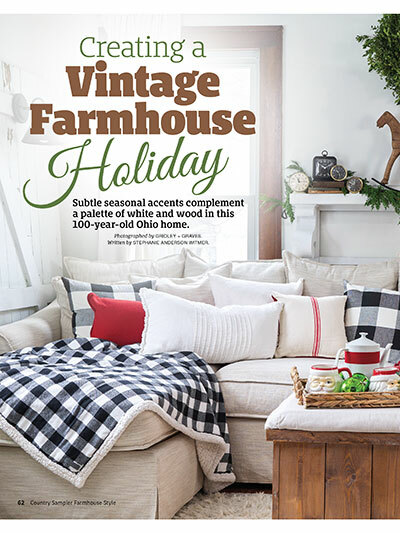 Get in the festive spirit with creative DIY projects, delicious rustic recipes, cozy home tours, holly-jolly decorating inspiration and more—all in this brand-new holiday issue of Farmhouse Style! There's no place like home for the holidays! 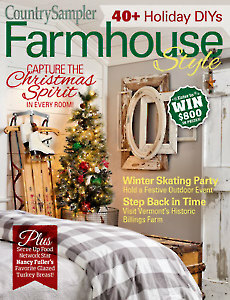 Join us as we tour four festive farmhouse homes decked out for the season. It's beginning to look a lot like Christmas! 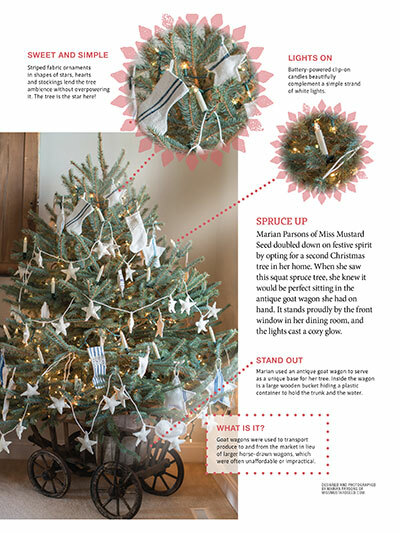 Discover how to decorate the perfect country Christmas tree. On the first day of Christmas, my true love made for me—give a gift from the heart when you craft presents with love. 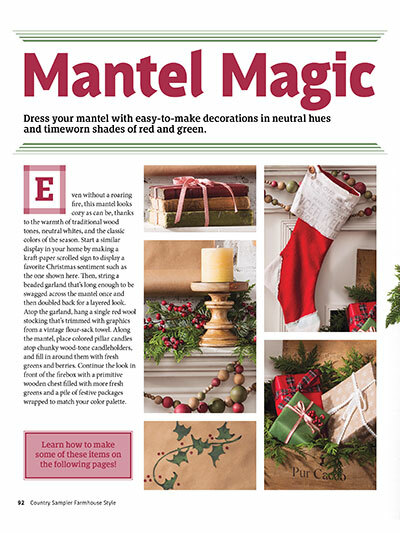 Our merry DIY ornaments are perfect both as gifts and for personalizing your pine. 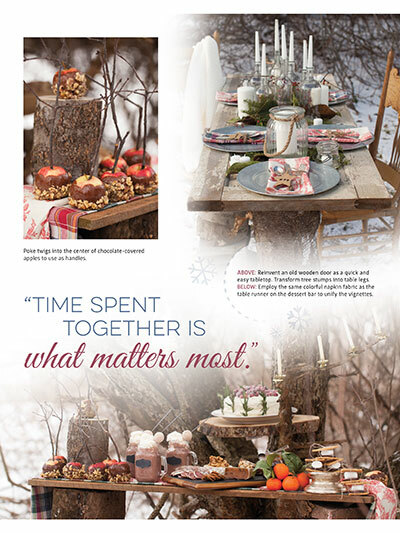 Planning a holiday dinner party? 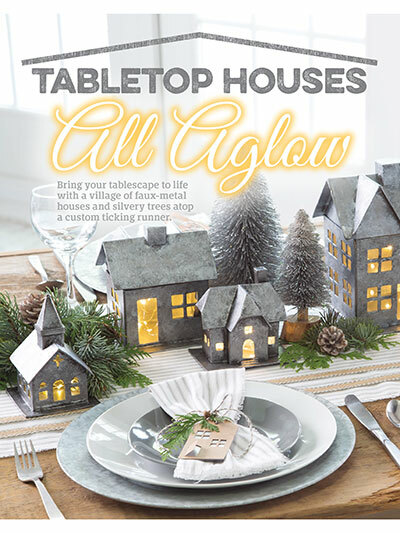 Impress your guests when you bring your tablescape to life with our delightful setting ideas. Let it snow! Let it snow! Let it snow! Enjoy the beauty and fun of a winter wonderland outdoor skating party. Get all this and more! Subscribe today! 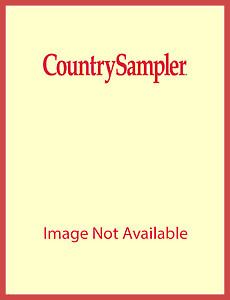 I love Country Sampler magazine and Farmhouse style magazine. I save all my issues as I find something that I might have missed the first few times I've looked at them.